Working together we can make it happen! Join the growing global movement to end hunger by 2030. We are changing the world. You can help make history. Let’s stop hunger now. 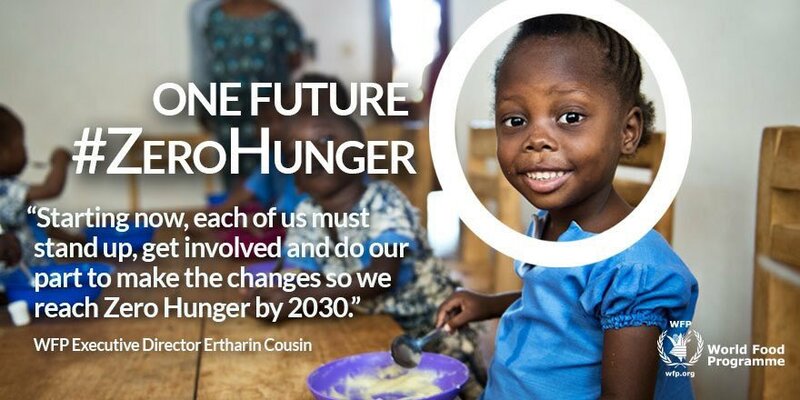 This entry was posted in Hunger & Poverty, News & Views, Quotes and tagged #zerohunger, change, changing the world, Ertharin Cousin, global movement, history, hunger, involvement, Stop Hunger Now, WFP on October 12, 2016 by Ray Buchanan.